But Cooper says she was never made aware of these facilities, which would have appeared on a population count regularly provided to her by the federal government. “(We were) never provided the list until we asked for it,” she said. Cooper’s job is to ensure that the government is complying with the Flores Settlement Agreement, a 1997 pact that sets the standards for how unaccompanied minors are treated while detained and calls for their swift release. Her team has focused on minors who’ve been transferred out of regular shelters and into residential treatment facilities that treat youth with mental health and behavioral challenges. While some residential treatment facilities operate within the refugee agency’s previously known network of shelters, Cooper says the five sites were never disclosed to her team. The federal government is supposed to provide attorneys representing detained children with a regular and detailed census of each minor in the Office of Refugee Resettlement’s custody. The government’s secret use of the facilities appears to violate the long-held agreement. Federal databases listing spending, grants and contract awards make no mention of these “out of network” providers. Reveal requested information about the agency’s use of the facilities through a Freedom of Information Act request in November, but has so far received no response. 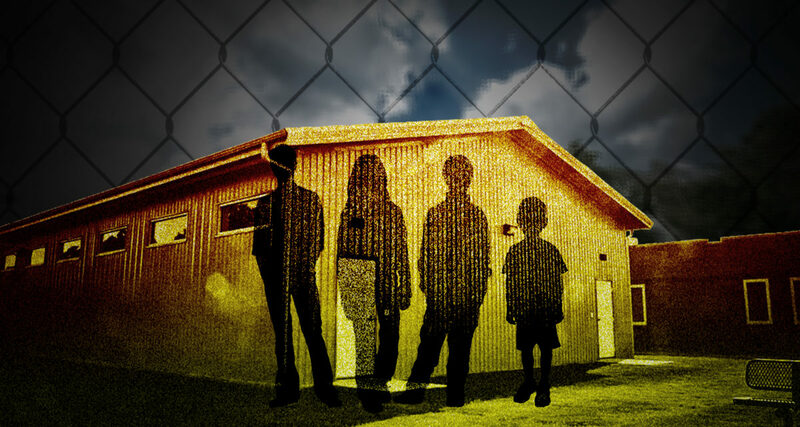 It’s still not clear how long these children have been held in these facilities, or whether the agency is increasingly relying on placements outside its shelter network. And it’s still not clear how many youths are being held at these out-of-network facilities. Stauffer’s tally of approximately 15-20 minors doesn’t satisfy Cooper, who says she’s still learning of more children who may be held in such facilities. “An agency that’s in charge of the custody and care of children should be able to give an accurate number of the children in its custody and care with precision,” she told Reveal. The team of attorneys that Cooper works with plans to visit one of the facilities, Millcreek Behavioral Health in Arkansas, the first week in April. While Stauffer described these placements as a “long standing practice,” former officials in the agency under the Obama administration told Reveal they weren’t aware of such arrangements when they worked for the agency.